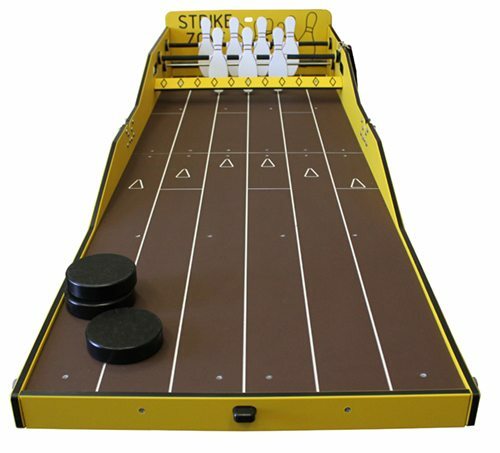 For a new twist on FUN at your next special event. 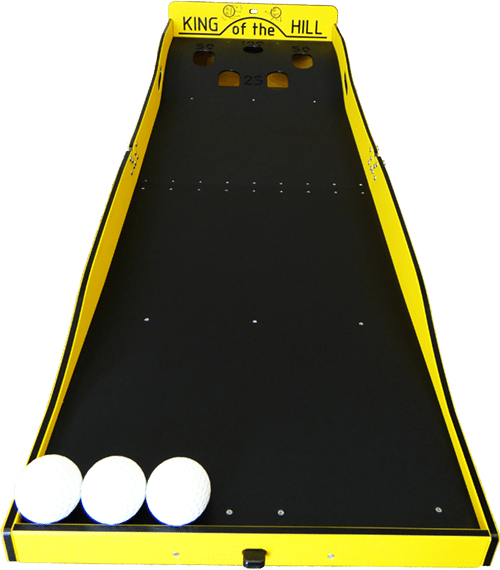 Our carnival games will bring out the kid in young and old alike and will keep your party moving. We can provide personnel to operate the games or you can do it yourselves. 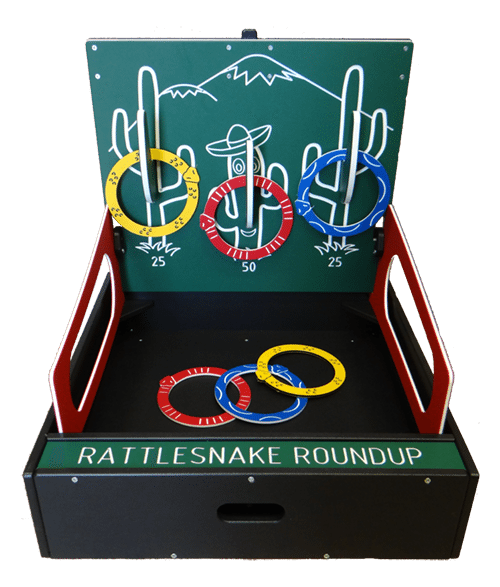 Easy to set up, easy to operate, and creates interactive fun for all ages. 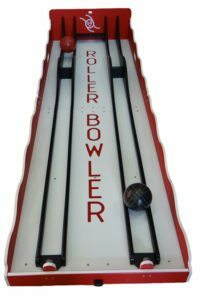 Roller Bowler I is a seemingly simple game of rolling a ball up a hill. But don’t be fooled! 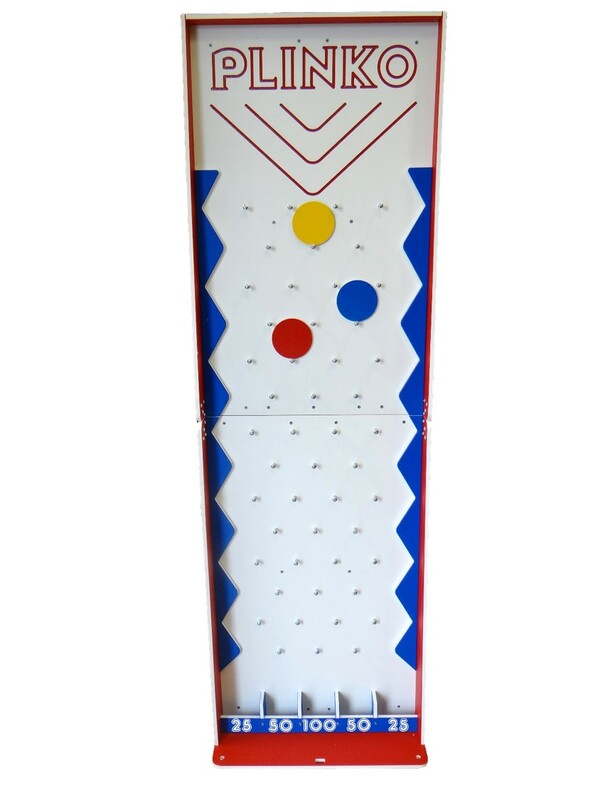 You must push the ball hard enough to pass the first hill, but softly enough so that it doesn’t roll all the way back. 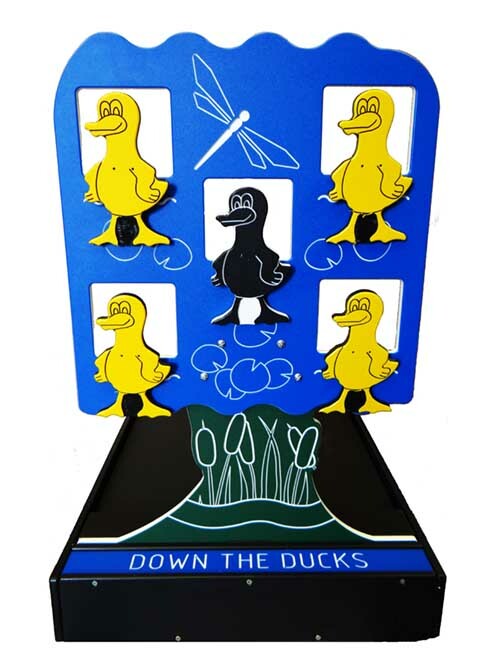 Classic meets contemporary in this well-known game! 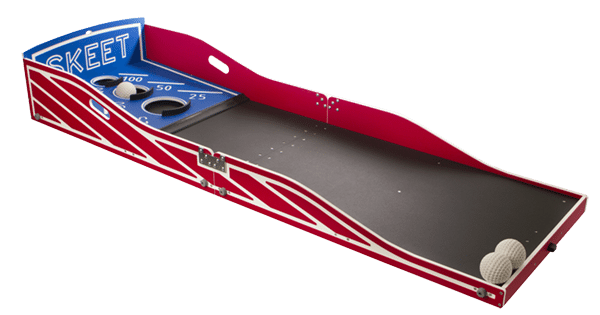 Drop one of the colored disks down from the top and watch it bounce through the pegs into a scored slot at the bottom. Is this a game of luck, or does it require strategy? You decide. 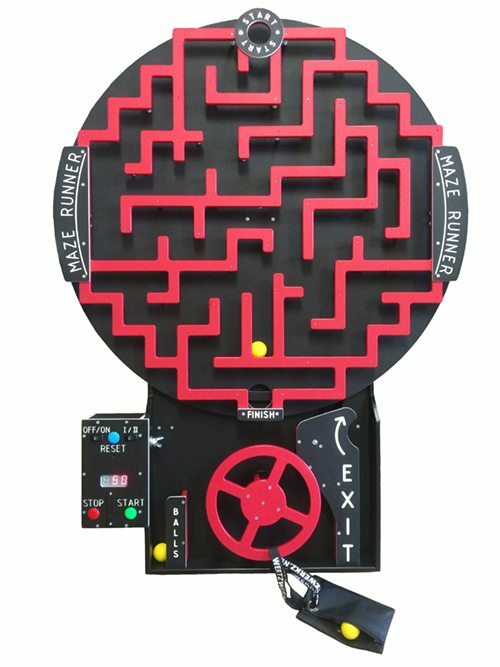 Your favorite classic game is back with a new twist! Our version not only requires thought, but accuracy too. 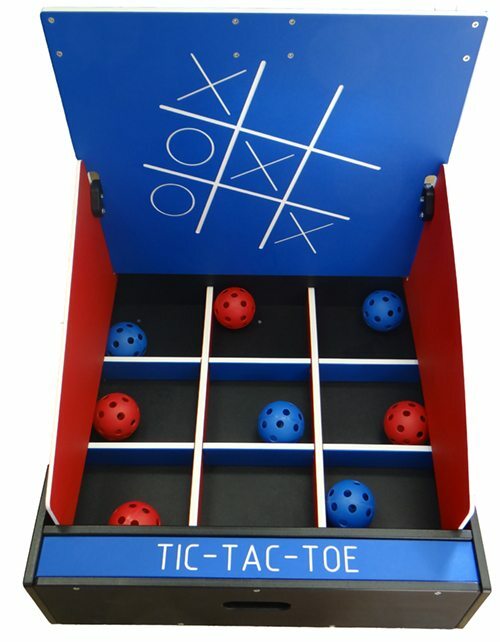 Toss your red- or blue-colored ball to get three in a row and beat your opponent! 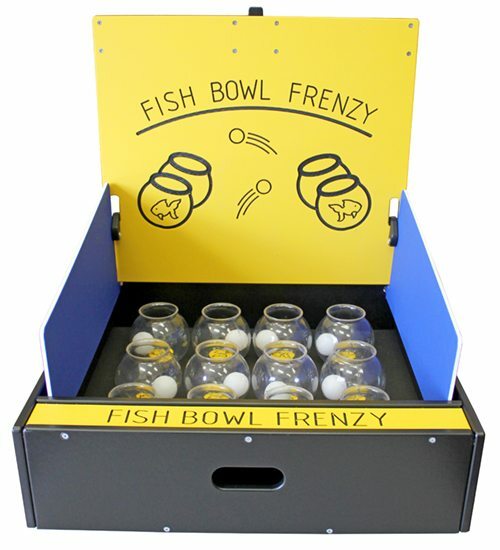 Test your aim with Fish Bowl Frenzy! 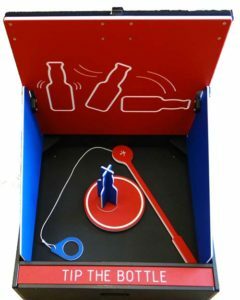 You have twelve chances to land a ping pong ball in the fish bowls. Bounce it, toss it, or hit it off the backboard. Which technique is your favorite. The goal of the game is to land lizards on the log or surrounding leaves. 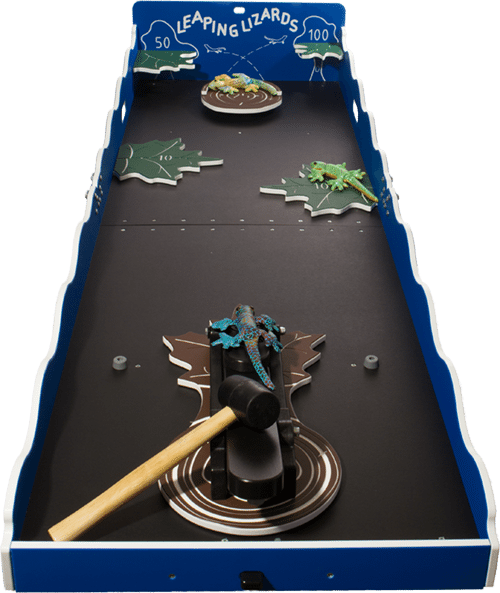 Simply place a lizard on one end of the adjustable arm, aim, and hit the other end with the mallet to make the lizard “leap” onto the desired landing spot. determination! 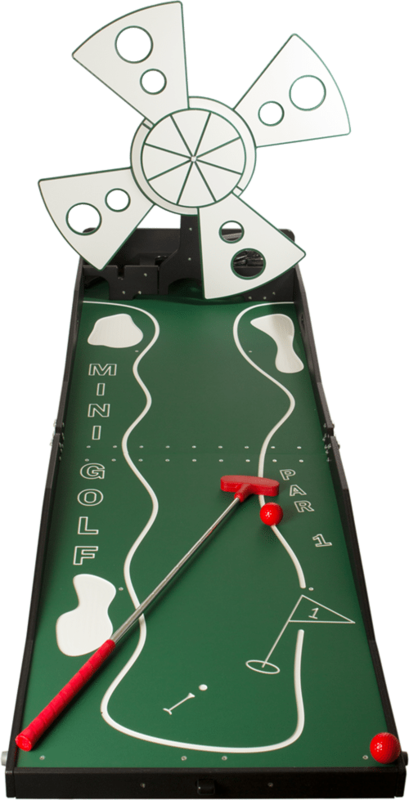 Roll three balls up the hill to land in one of the five holes. But take note — it’s not as easy as it looks! 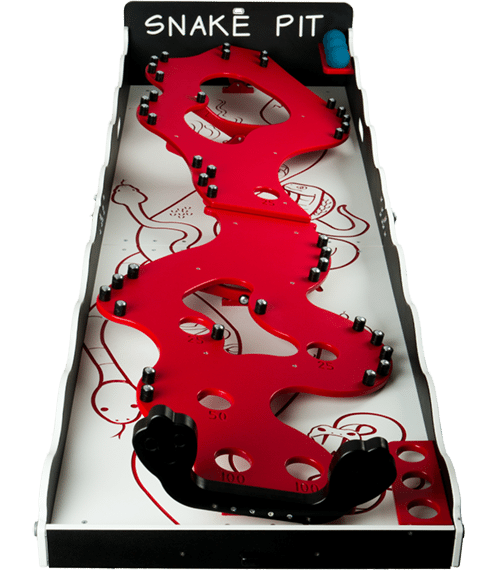 more challenging games. 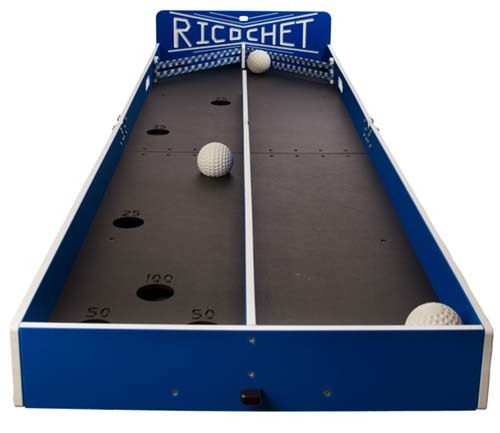 The object: Land the ball in one of the target holes without falling into the snake pit below. With your three tries, how many points can you score? 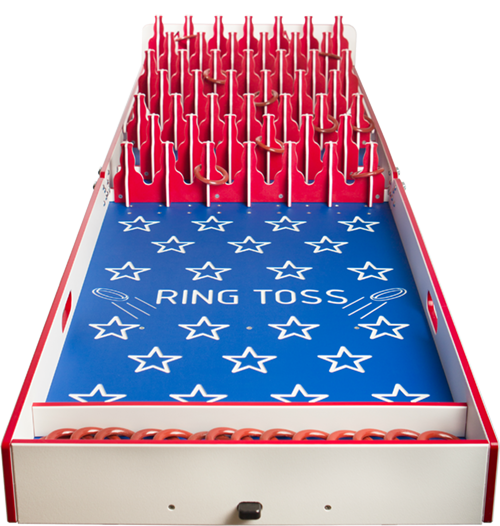 Kids of all ages will enjoy our classic Ring Toss game. The goal is simple: toss the rings to land around as many bottles as you can.